* 2. 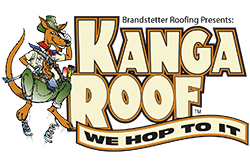 What caused you to call Brandstetter's Kanga Roof? * 4. Was the Brandstetter's Kanga Roof representative punctual during your transaction? * 5. Was your home and/or business transaction completed in a timely fashion? * 6. Were you satisfied with the final result of the work performed by Brandstetter's Kanga Roof? * 7. How likely is it that you would recommend Brandstetter's Kanga Roof to a friend or colleague? * 8. Your feedback is important to us! If we could have made your experience a more enjoyable one, please let us know in the comment field below. * 9. Please provide us with your email address.